The leaves have changed colours and are starting to fall, summer is over and autumn is well underway. 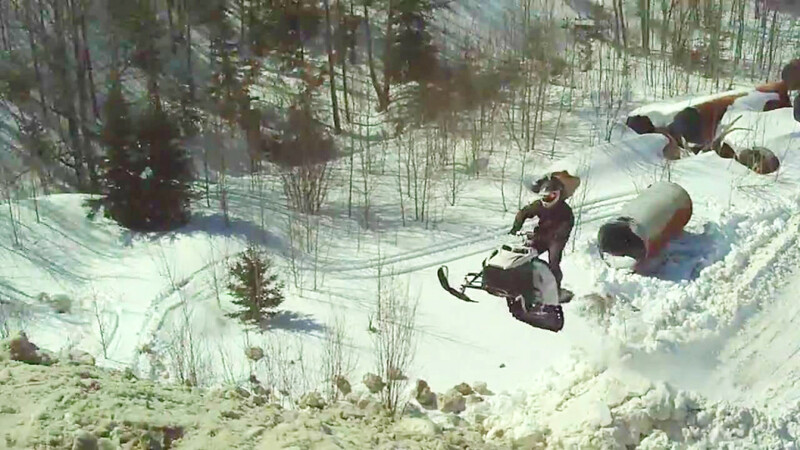 At this time of year die-hard snowmobilers like us have one thing on our minds: SNOW. If you guys are like me you’re checking the long-range weather forecast often hoping to see that little snow icon. It’s early so there’s still some time to go before we get our first snowfall but while I wait for it (and throughout the year) I have my go-to resources to keep up to date on all things snowmobiling in Ontario. From trail conditions and event announcements to reviews on the latest models and where to find the best deals, even where to go just to kill time watching videos, these are the places I go when I can’t be on the trails. Now these days most of us stick mainly to Facebook for our info but there are still places beyond the Facebook world. One website that I often check for Ontario is ontarioconditions.com. I have been a long time member and I’m a moderator. The people there are very friendly and it’s a safe place to hang out, they have good rules and do not tolerated bashing and bad language, so it’s family safe. The veteran members have lots of experience and knowledge about riding in Ontario and are happy to help out when you ask about snow tours, trail information or riding areas—you almost get instant replies. If they can’t answer you they will try to point you in the right direction to get you the information you are looking for. Definitely a worthy resource! I’m looking for a deal on a second sled as my wife is new to snowmobiling and she’s ready to ride her own machine. One of the best and easiest to navigate websites is Sleddealers.ca. Here you’ll find a range of nice snowmobiles, good deals on non-current models or those brand new, hard to find sleds. Many times dealers will post their sales here. If you are into other powersports they also have websites for ATVs, Motorcycles and Boats. Go check them out! 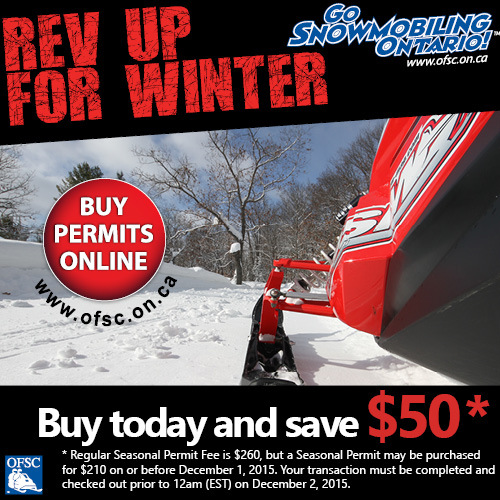 If it’s not a new or used sled you’re looking for but rather to fix up your older machine and would like to save some cash doing it, one good place to check for parts is Total Recreation, located in Bechin, just north of Lake Simcoe. 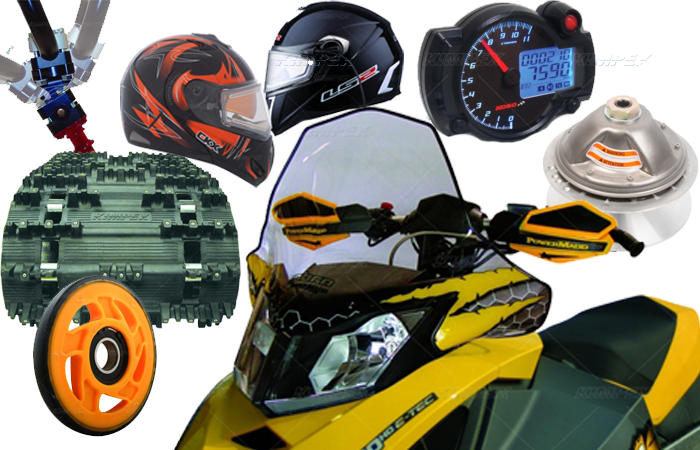 They have a huge selection of quality used parts for Ski-Doo and Yamaha Snowmobiles with fast and friendly service. You can use the handy parts finder on their website and they will contact you with the info you are looking for. A one stop website for sledders, Snowmobiler.com has tons of valuable information. They have many information Sections, from Sled Specs, Reviews, How To, Blog and more. They have great articles and awesome products reviews. I’ve snowmobiled with those guys and they are great bunch of people. I met them during our “snosocial” ride we did a few years back. Last winter one of my articles about the Yamaha Early season power tour was featured on it. My Ontario followers know of this website but my American friends that are thinking about riding here should bookmark this must-have website. The OFSC website has lots of information but what brings me back there over and over is the interactive guide. As much as I check the weather reports on weather channels I go check the interactive guide to see trail status. I like to see who has their trails open, what status they are in and how many kilometres of trail are available across the province each day. One cool section of the site is the Trip Planner. In this section you have The Trail guide, GPS Mobile, Travel Tips and Snow Tours. My favourite part is the km calculator—you can calculate your whole trip from here. Just click on the sections of the trails you want to ride and it adds up the total kms for you. You can also download the OFSC iSnowmobile App and use it on the go. It’s available for Apple and Android mobile phones. I have it and love it, the only thing I wish they would change is that you be able to use it where there is no cell reception… other than that it’s a must have app. 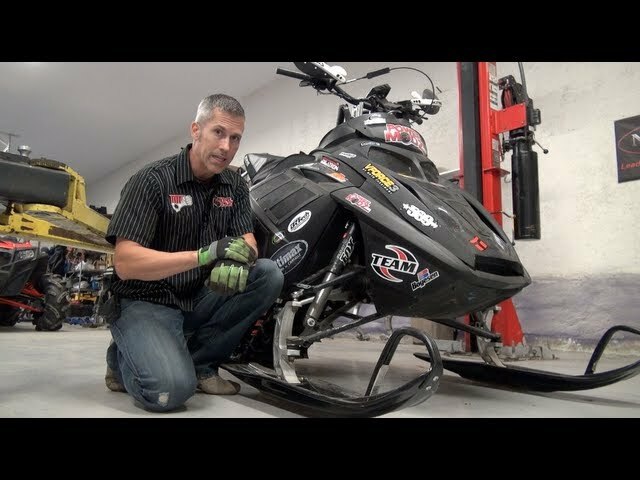 PowerModz is a Canadian webpage and YouTube channel from Ottawa Ontario that has cool videos and helpful tips for doing mods to your sled. When I’m bored and want to check out snowmobile stuff I go here to see if they have new videos on YouTube. One of my favourites are the videos of the Modified Ski-Doo Elan. Check them out, they will keep you entertained for a long time and it beats watching Chic flicks on Netflix. To stay informed on what is going on in the province I follow many snowmobile clubs Facebook pages. It’s a great place to get recent info on trails, club news and events. Some clubs post daily or every few days and you can see why they have lots of followers and “likes” as they keep the people informed. 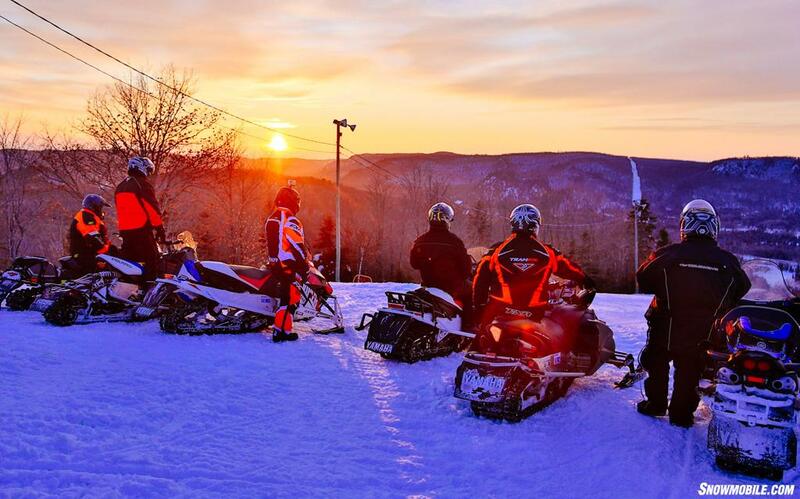 Many times, clubs will post when there are work parties and when they need help, this is a great way for a new snowmobiler to get involved in the sport. 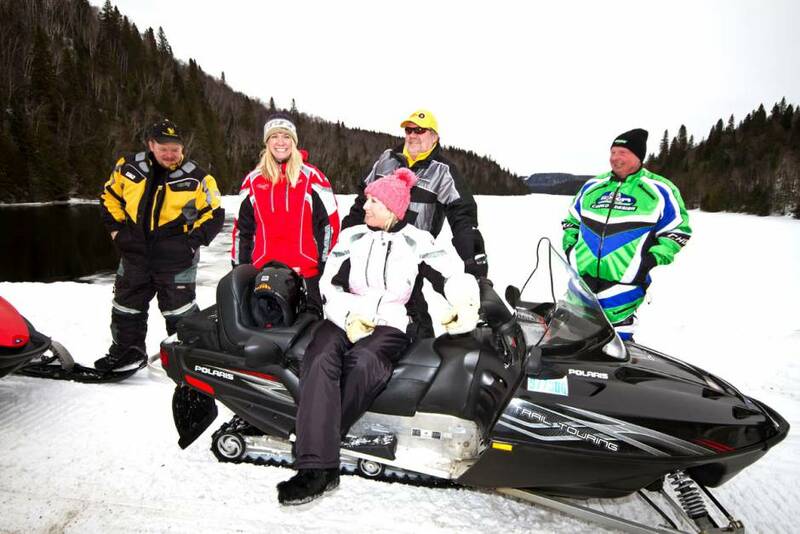 This page lists all Ontario snowmobile clubs that use Facebook—use it to find your local clubs and stay in the know. Lucrestyle Productions is a great YouTube channel owned by Jeff McGirr. Jeff is from the Mattawa/Bonfield area in Ontario, he’s a friend of mine and he’s a powersports die-hard. He posts videos of his adventures in the wilds of Northern Ontario, from doing some deep powder riding, to making jumps or exploring the backcountry. Well worth checking out and subscribing to. Mark is from Ontario and posts videos of him and his buddies doing crazy stunts with anything that has a motor, you name it he has jumped it. He has over 180,000 subscribers and millions of video views, He’s Ontario’s YouTube star! 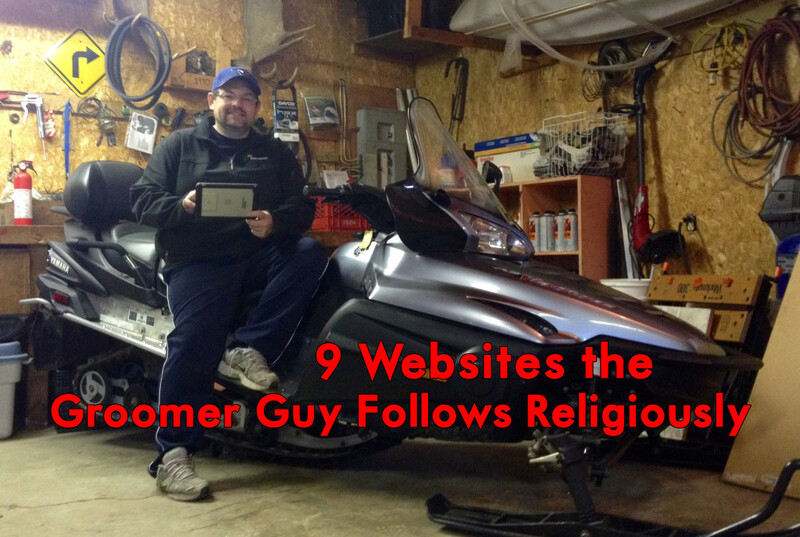 If you have a favourite website or Facebook page please share with me I—like to check out new snowmobiling sites. If you have a cool webpage, Facebook page, blog or YouTube channel post them to the What A Ride Facebook Page or send them to me via my Groomer guy Facebook page. I’ll share it with others and include it as a favourite in my next top webpage article next year.